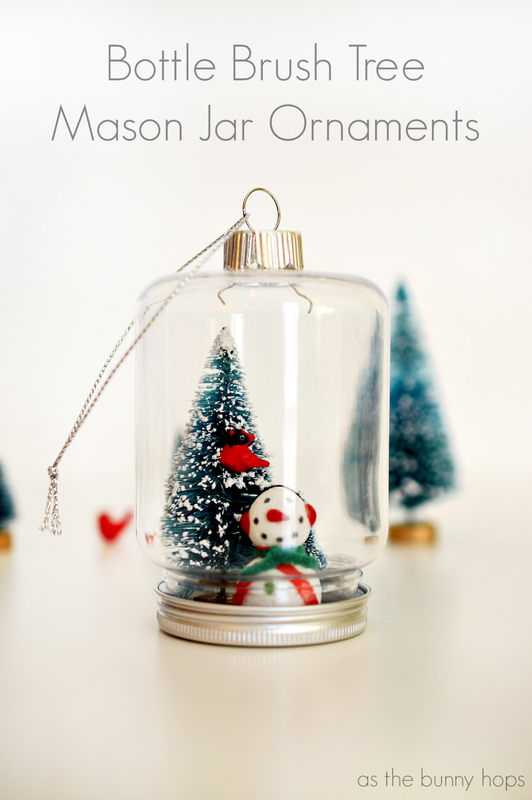 There are so many wonderful ways to use mason jars, including making Mason Jar Christmas Ornaments. 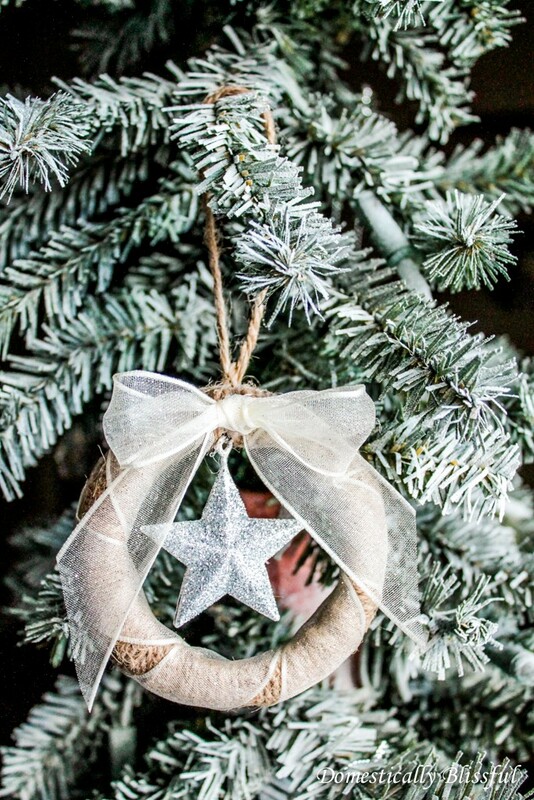 Here’s a collection of twenty-five of my favorites. 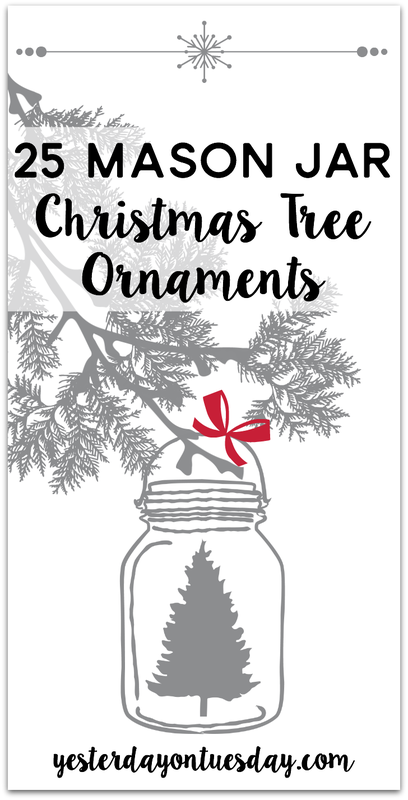 People are so creative– the glass jars, lids, bands– there are terrific projects you can make with all of these elements. 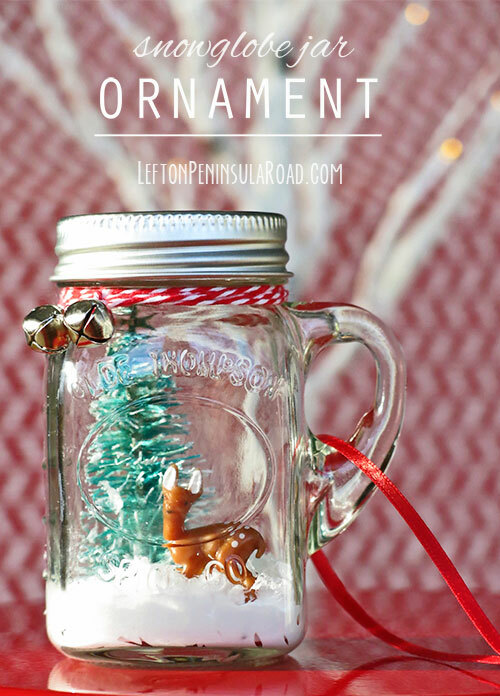 I’m loving this sweet Mini Mason Jar Ornament by Left on Peninsula Road. 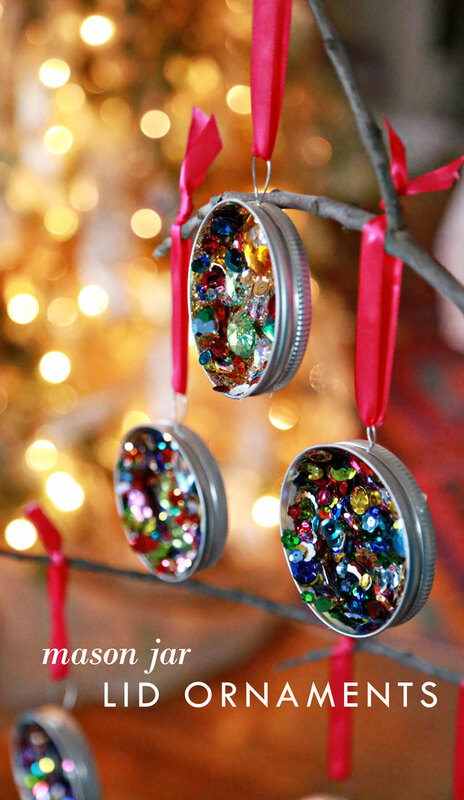 These fun Mason Jar Lid Ornaments by An Extraordinary Day incorporates some darling fabric into the design. 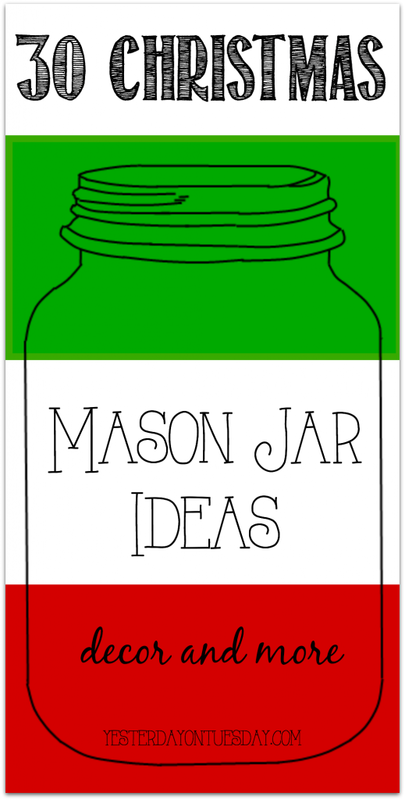 Even the images of mason jars are fun. 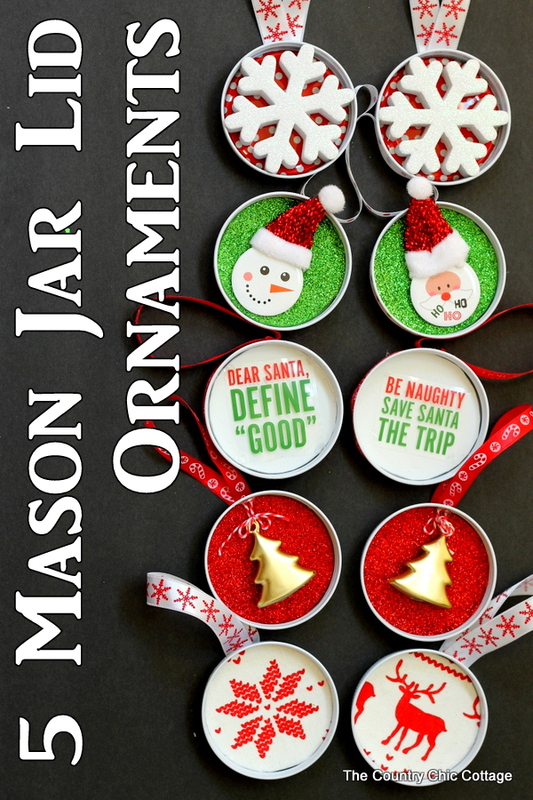 That’s why I created this Mason Jar Joy Ornament. 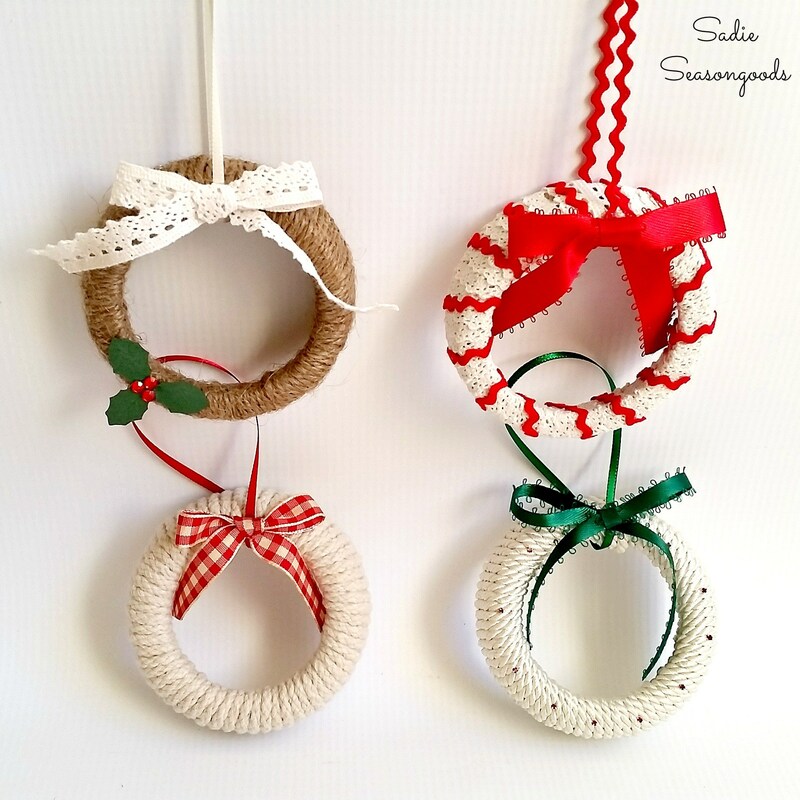 Tiny and cute! 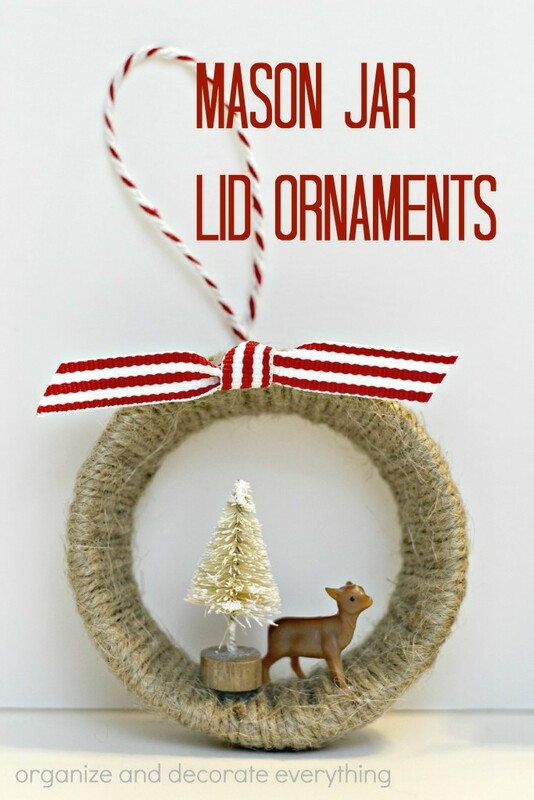 This Bottle Brush Tree Ornament by As the Bunny Hops is so fun. 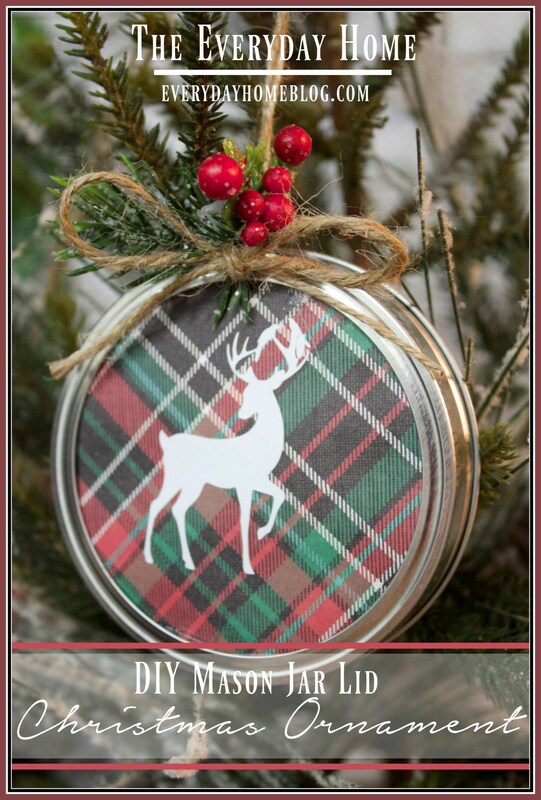 I can envision an entire tree decorated with these 5 Mason Jar Lid Ornaments by The Country Chic Cottage. 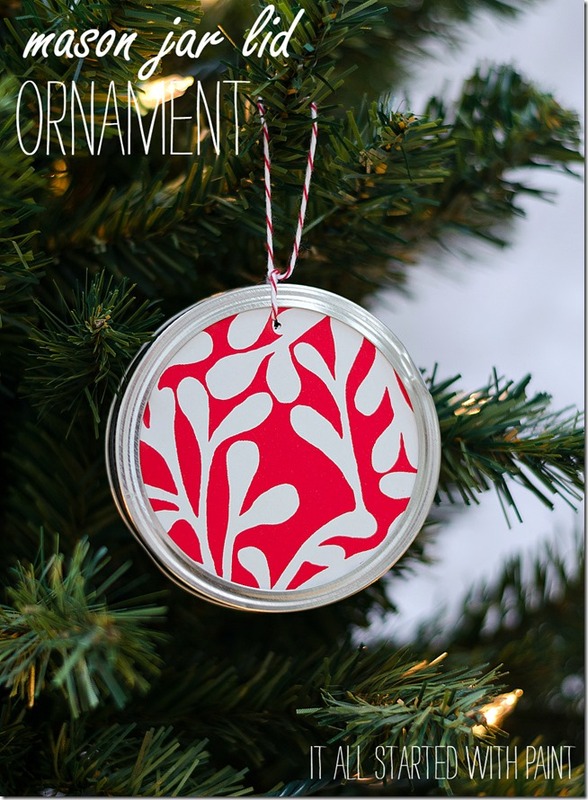 Mason Jar Lid Ornament by It All Started with Paint is a joyful way to add color to the Christmas tree. Vintage chic Christmas Wreath Ornaments by Sadie Seasongood. 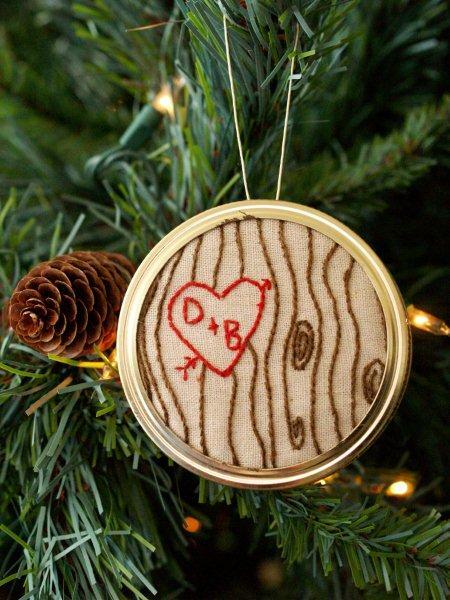 This Carved Heart Ornament by Flamingo Toes features incredible embroidery. 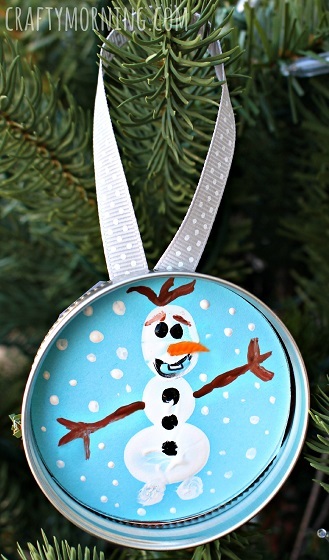 What a neat craft to do with the little ones: Frozen Olaf Fingerprint Ornament by Crafty Morning. 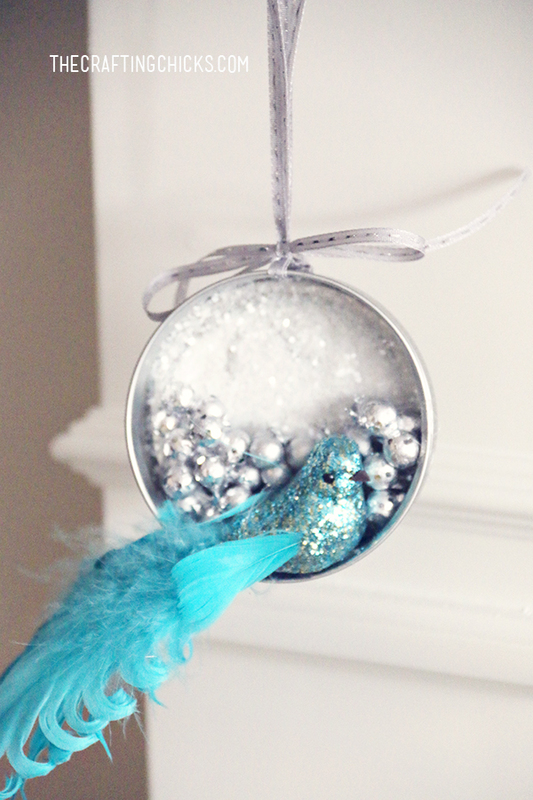 Gotta love that faux snow! 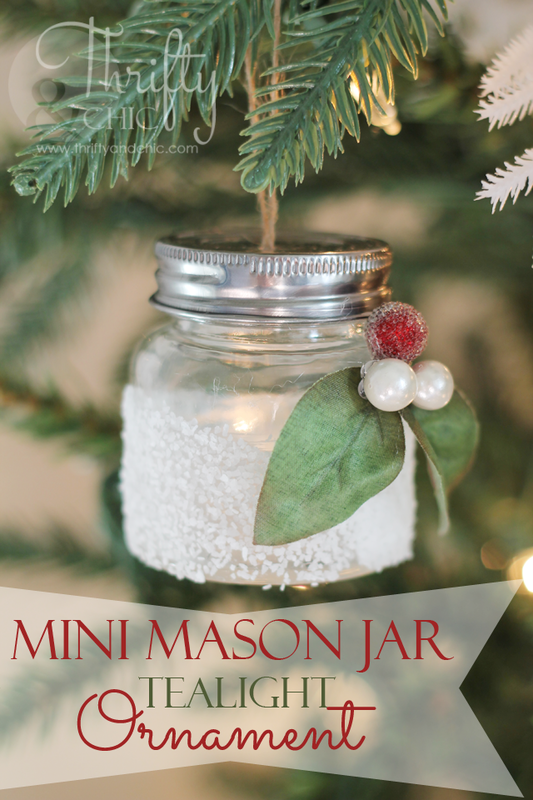 Mini Mason Jar Tealight Ornament from Thrifty and Chic. 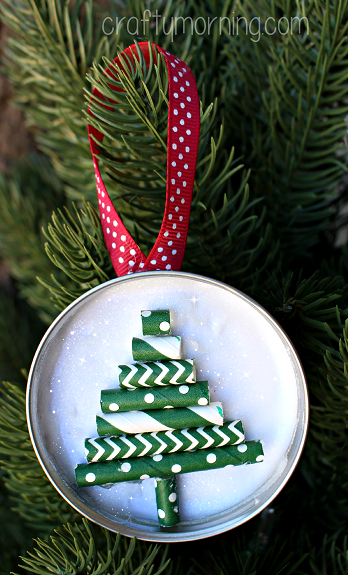 What a smart idea for those extra straws: Straw Christmas Tree Ornament by Crafty Morning. So cheery! 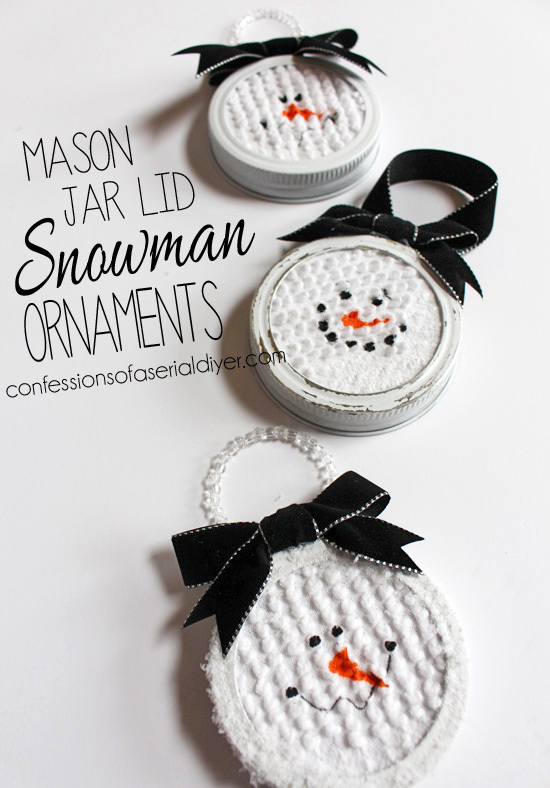 Mason Jar Lid Snowman Ornaments by Confessions of a Serial Do-It-Yourselfer. 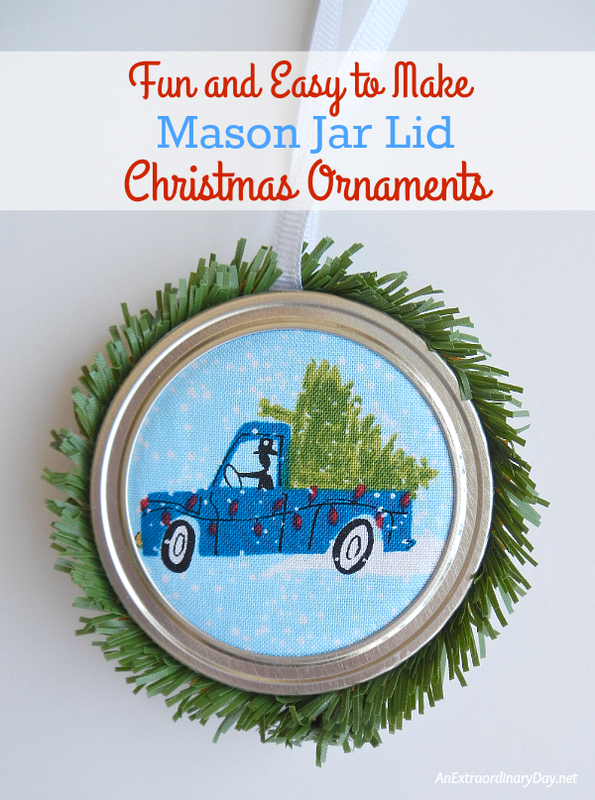 DIY Mason Jar Lid Christmas Ornament by The Everyday Home make me mad for plaid. 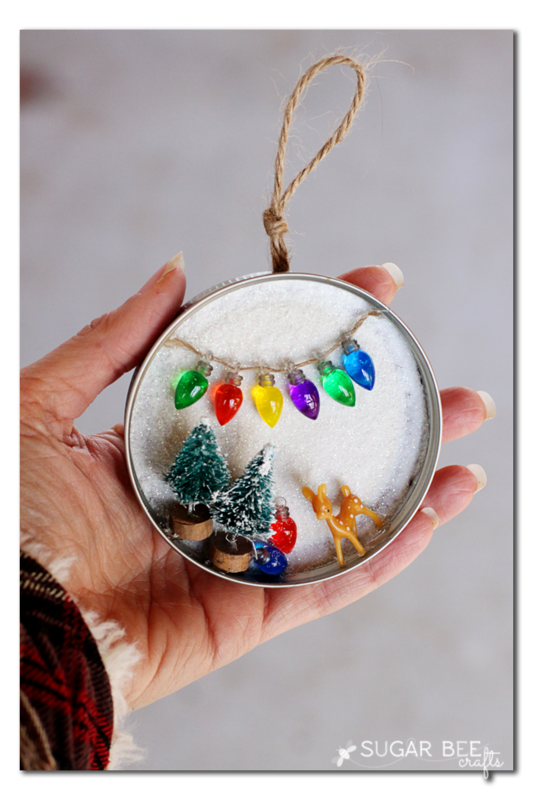 The little lights are so precious: Mason Jar Lid Snowy Scene Ornament by Sugar Bee Crafts. 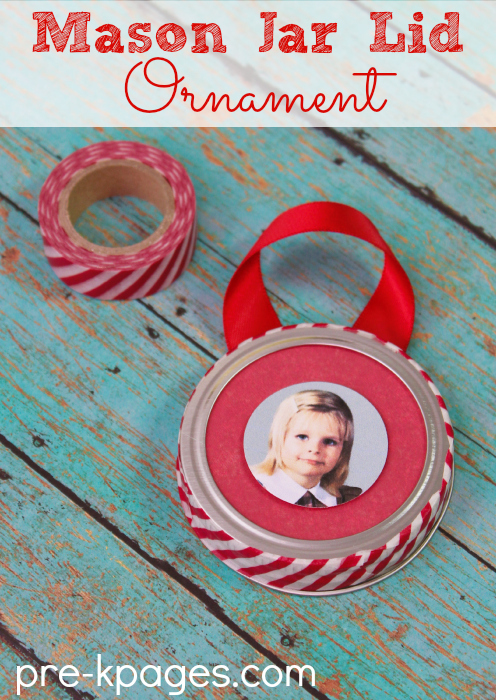 Anyone would love to receive an Easy Preschool Ornament by pre-kpages featuring their favorite kiddo. 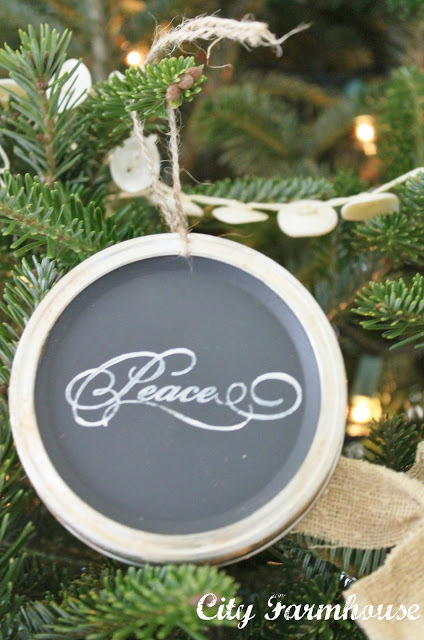 Elegant and lovely Mason Jar Lid Chalkboard Ornaments by City Farmhouse. 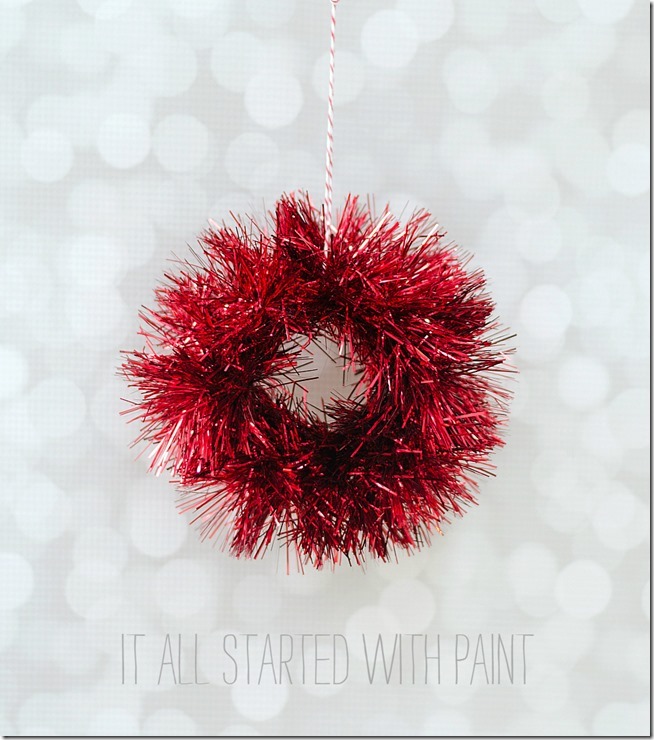 A genius idea incorporating a holiday staple Tinsel Wreath Mason Jar Ornament by It All Started with Paint. 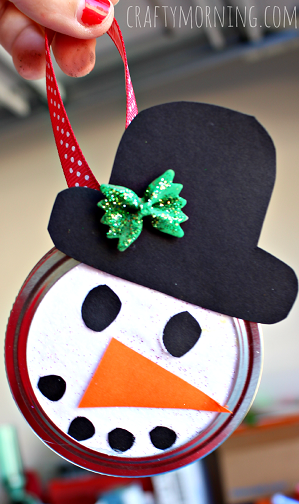 How a great project for the kiddos: Snowman Mason Jar Lid by Crafty Morning. 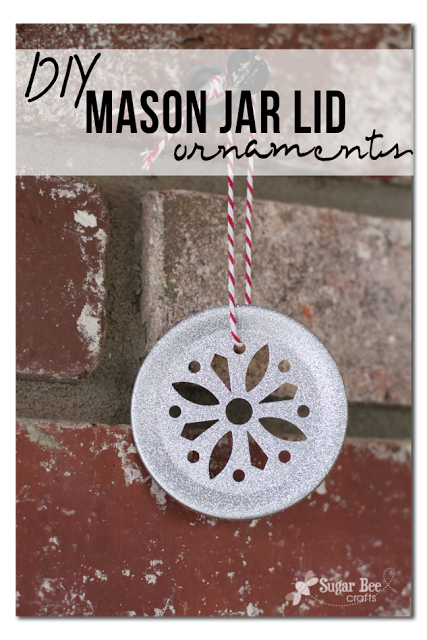 The star and bow make this Sparkling Star Mason Jar Lid Ornament by Domestically Blissful so special. 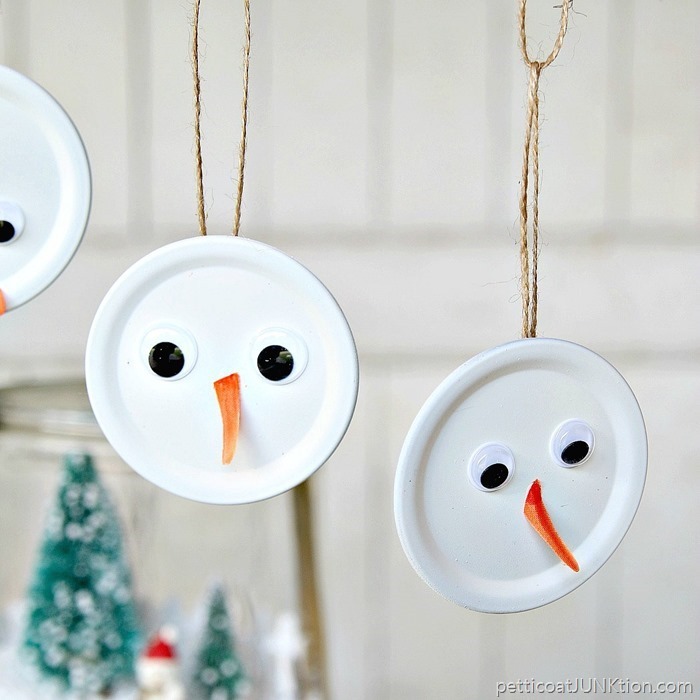 What a cool idea: Snowman Christmas Ornament by Petticoat Junktion. What a great round up. 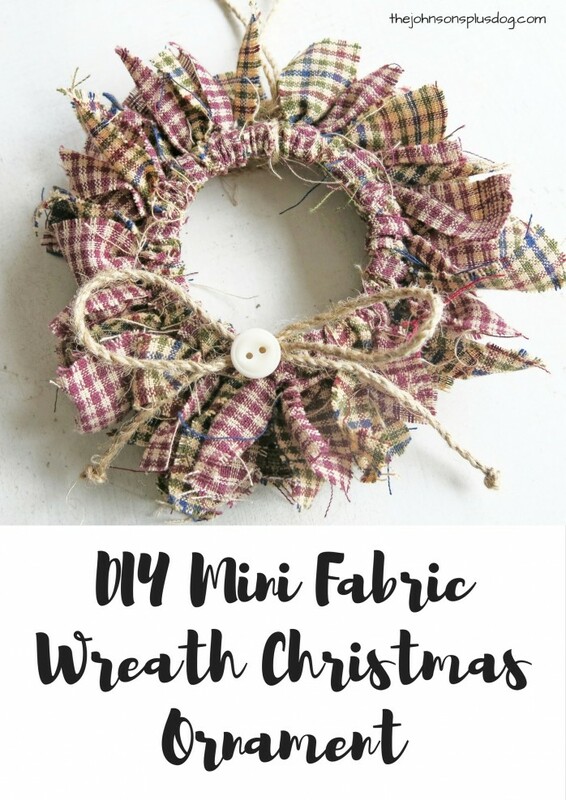 Thanks for including my mini fabric wreath ornament!